There are different types of kites that are categorized by purpose, shape, and material among other variables. You do not necessarily have to buy a readymade kite. You can buy a DIY kite depending on what you want to use it for. You do not need a lot of materials to make your own kite. Some of the things you will need include is a sheet of plastic, stick tape, a kite line and handle. These materials can be found in toy shops or online. A marker pen, hole punch, scissors and tape measure are also important materials you will need to have when making a DIY kite. Not only is making DIY kites a fun activity, but it is a process that has its practical advantages. If you have kids, you can involve them in the process. As a result, you will be enhancing their creative capabilities. It can also be the best extracurricular activity to engage in if you want a change in your daily life. The materials required to make it are not hard to find and you can easily handle the project even if you are new it. There are lots of instructional materials online that you can use to make these kites with ease. Another benefit of DIY kites is tailoring them to suit your purpose. 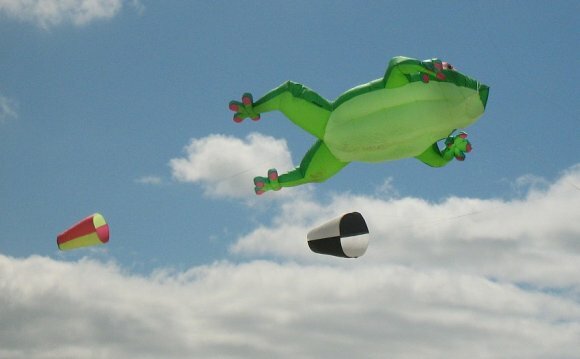 If you want something easy to build and fly, you can go for sled kites. They usually have squares with triangular wings that give them the shape of a sled. You can also make delta kites if you want kites that are lightweight. They are made from nylon fabric. Other types of kites that you can opt for include diamond kites, kinetic kites and parafoil kites. Even though making DIY kites is a fun process, it has its challenges too. If you want to make kites that will not disappoint you, you will need to have a lot of patience, creativity and knowledge of the right materials as well as designs to use. It is also advisable to start with small kites. Keep in mind how much you are willing you to spend and the time you are willing to put into the project. A good kite should not require a lot of wind to make it fly. A light breeze should enable it to fly with ease. You should also not run madly when you are trying to get your kites to fly since that may break them. Flying or hovering them near power lines, railways lines and airports should be avoided. Always be considerate of other people when you are flying the kites. Let not your fun hurt other people. It is recommended to keep them below 200 feet when flying.